How to Move Nokia Files to iPhone 7/7 Plus/6/6S? Home > Resources > Transfer > How to Move Nokia Files to iPhone 7/7 Plus/6/6S? After years of using with your Symbian Nokia mobile phone, you may have stored a large number of precious files, such as contacts, text messages, photos and videos on the Nokia phone. Once switch to a new phone, such as iPhone 7/7 Plus, you may wish to copy these files to the new phone as well. After all, they are quite important to you, especially contacts, which enables you to contact with other people. 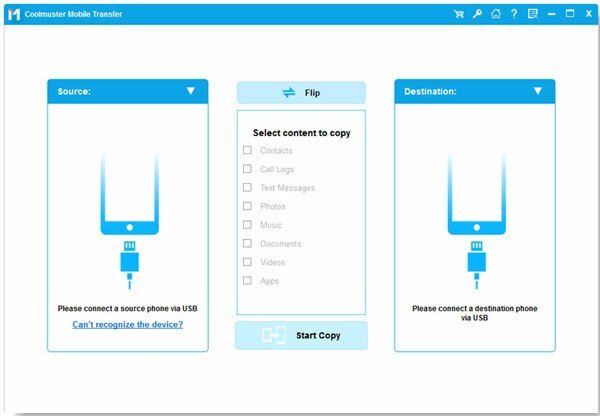 To seeking a way to move Nokia files to iPhone, you can't miss the Coolmuster Mobile Transfer, which is able to transfer any type of files, such as contacts, photos, music and videos from Nokia N9/C5/N8 to iPhone X/8 (Plus)/7 (Plus)/6S (Plus)/6 (Plus)/SE/5S/5 without any hassle. 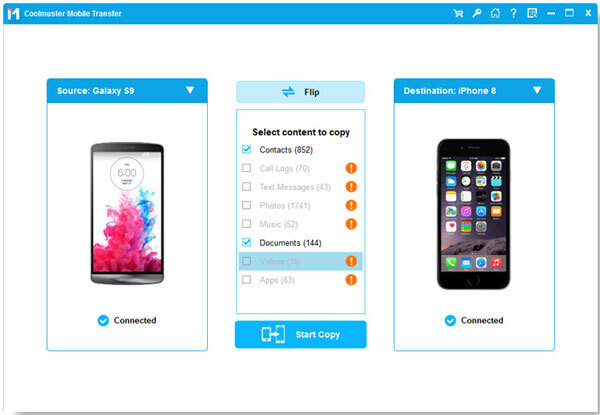 And it also provides backup and restore ability to help you backup your Nokia, iPhone and Android data on computer, and restore them to any phone with one click. Below are the free trial version for Windows and Mac versions of Mobile Transfer, you can try it freely. To get started, download and install Coolmuster Mobile Transfer. When you manage to launch it on your computer, choose the Phone to Phone Transfer mode and press the button of "Start". Use two USB cables to connect the two phones to the computer and they will be detected by the Mobile Transfer soon. Both of them will be displayed side by side, with all the transferable file types listed on the top. Preview the contents and only check your wanted ones. Then, click the left or right arrow in the middle to begin the data transfer process. Do not plug off USB cables which are used to connect your Nokia and iPhone until the process is complete.